Both Instapundit and The Corner link to this commentary from Hollywood actor Fred Thompson as if it contains something of value. On The Corner, Peter Robinson writes "When you read the commentary, you can hear Thompson’s voice." and further gushes how "impressive" it is when a Thompson flack informs us that he writes them on his own. 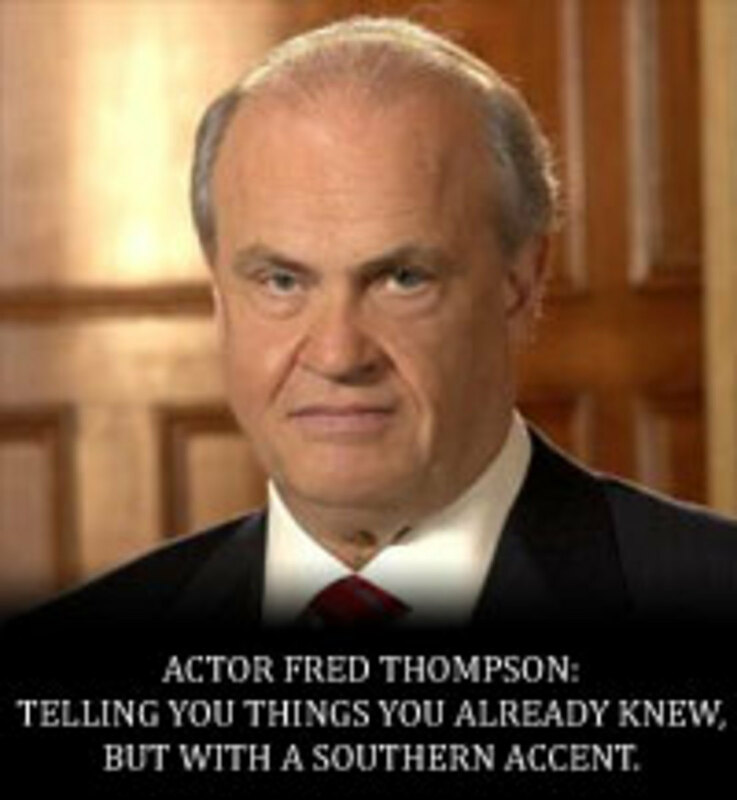 Um, Fred Thompson, as I pointed out before, writes the most obvious things in the world. This most recent essay says essentially "Other countries sometimes say stuff about America I disagree with, and I love America". Nothing more or less. I know the con blogosphere is in the tank for Thompson but Christ almighty aren&apos;t you guys tired of lowering the standards? The last time around it got you George W. Bush and look how that turned out.